The colorful blooms…the rustle of wind through the branches …the sweet fragrance in the air… Public gardens offer a welcome respite from our busy schedules. But there are other benefits you may not have considered. Here are five great reasons to plan a garden visit today. Numerous studies have shown that being outdoors is good for our mental health, memory, and attention. A 2015 study by researchers at Stanford University, for example, found that a 90-minute walk in a natural setting (as compared to walking in an urban area) reduced activity in an area of the brain linked to depression and mental illness. Similarly, a 2014 University of Michigan study found that group nature walks were linked to better moods, even after a stressful event like divorce or losing a job. Public gardens are good for the environment in multiple ways. 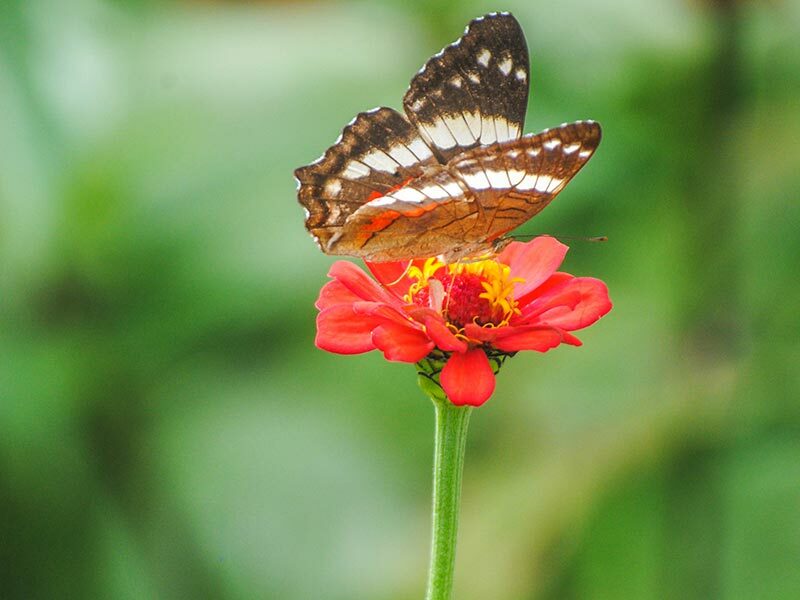 They conserve endangered plant species through living collections as well as through seed banks, and they benefit pollinators like butterflies, honeybees, bats, and birds, which play an important role in the production of our crops and maintaining the health of other plant life. Plus, green spaces help filter pollutants in the air, lower temperatures (especially in urban areas), and protect waterways from contaminated runoff. By supporting public gardens, you’re doing Mother Nature a favor. In addition to their flowering exhibits, botanical gardens frequently offer cultural events like musical performances or art exhibits. 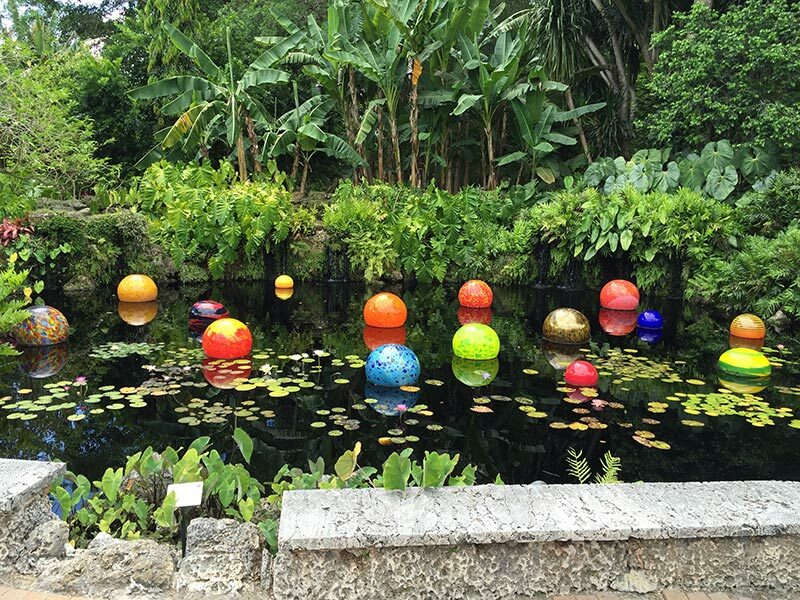 Renowned sculptor Dale Chihuly’s colorful glass creations have been displayed in more than a dozen gardens in the U.S. and abroad. 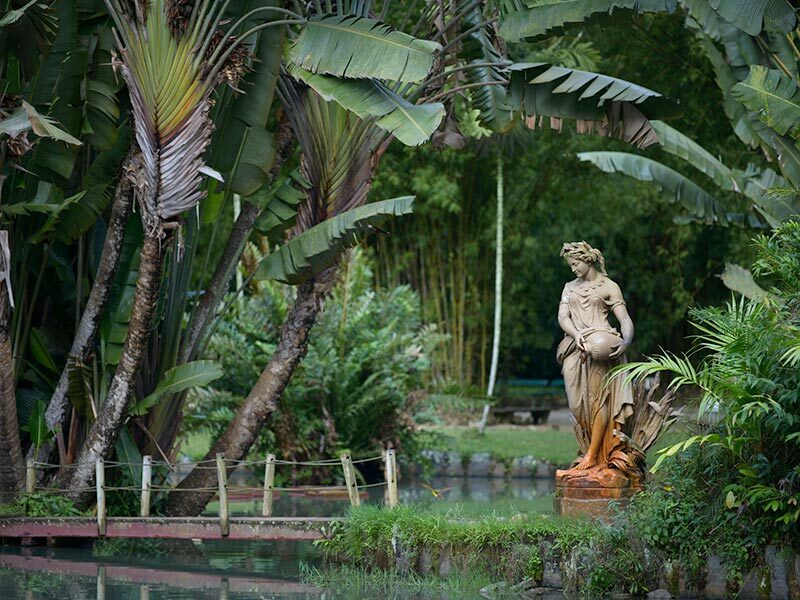 At Brazil’s Instituto Inhotim, open-air pavilions and galleries with artwork and sculptures intermingle with gardens that were designed with help from landscape artist Roberto Burle Marx. 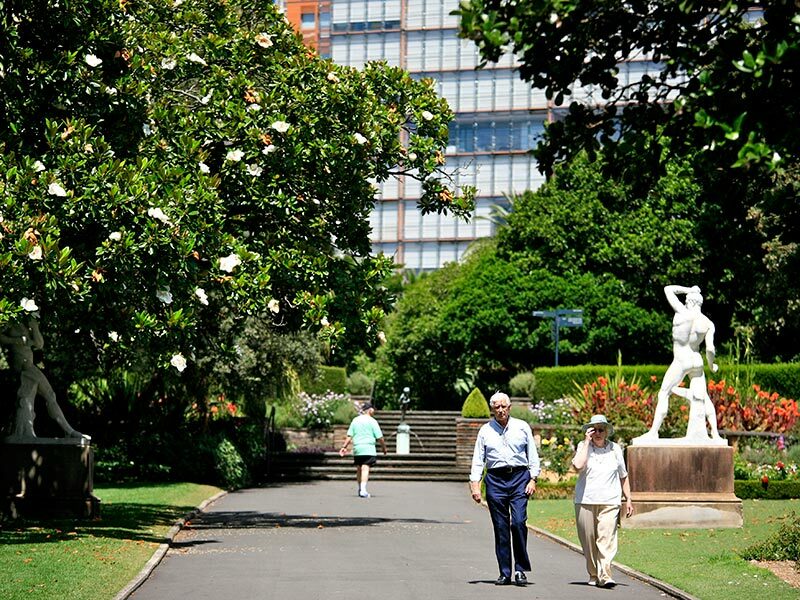 Don’t let their soothing atmosphere fool you; gardens are a great place to get your heart rate up. 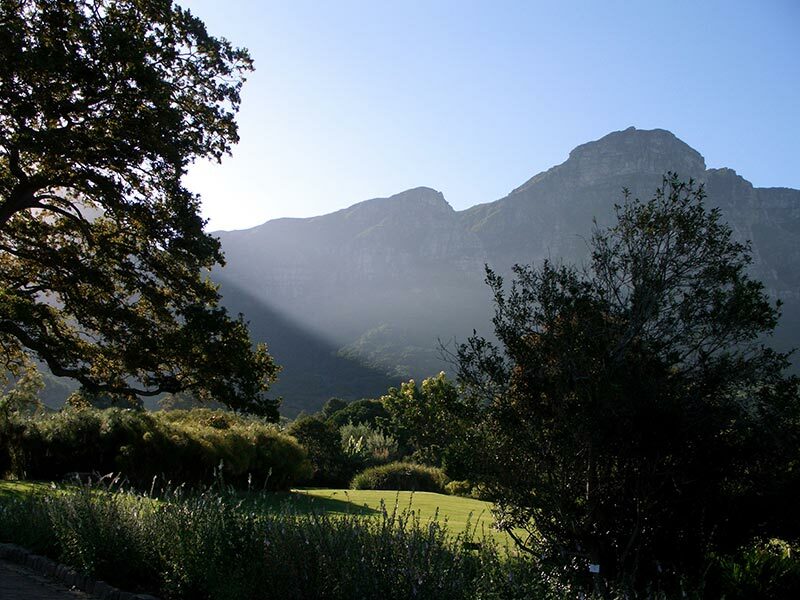 Jog or stroll through the paths and trails, or take advantage of the exercise classes on offer at some gardens, like yoga, tai chi, pilates, or swing dancing. In some cities you can even find “bootcamp” style fitness classes in botanical garden settings. To get the whole family involved, check out the garden’s calendar of events to search for kid friendly events, like scavenger hunts, or check to see if your local garden is dog friendly – some will even provide water dishes and treats for Fido. Have you ever smelled a “corpse flower”? The Mount Lofty Botanic Garden, located near Adelaide, Australia, is one of many gardens around the world to host the endangered Amorphophallus titanium, which only blooms every few years and is known for its smell of rotting flesh. Furthermore, many gardens feature special collections focusing on a particular category of flora. The Dunedin Botanic Garden in New Zealand and Kirstenbosch National Botanical Garden in South Africa, for instance, each place a strong emphasis on the cultivation of native and indigenous species. Whether you’re interested in medicinal plants, succulents, bonsai trees, orchids, or carnivorous plants, there’s sure to be a garden with a collection to satisfy your curiosity. Ready to plan a trip of your own? Visit our Gardens page to learn more.